Tell us a little bit about you …. I’m 37, married to a beautiful woman called Sam, based in Cambridge. My priority is loving unconditionally, with my full heart. Whether I’m with my wife, nephew, mum, friend or brother, what fulfils me is to show up as the best version of myself: kind, attentive, compassionate. I’m focused on how to make the most of every interaction with our loved ones. Yoga helps massively with this – it gets me distance from my thoughts and into my body where stillness and spaciousness live. My daily morning practice, thanks to MFML, is a chance to drop into wordless presence and just BE the peace and love that I inherently am. Why do you practise with MFML? I get on my mat in my pyjamas every morning. My wife has cleared the living room floor and rolled out my mat, block and belt the night before so I head downstairs, make myself a cup of tea, and then find my way into my practice. 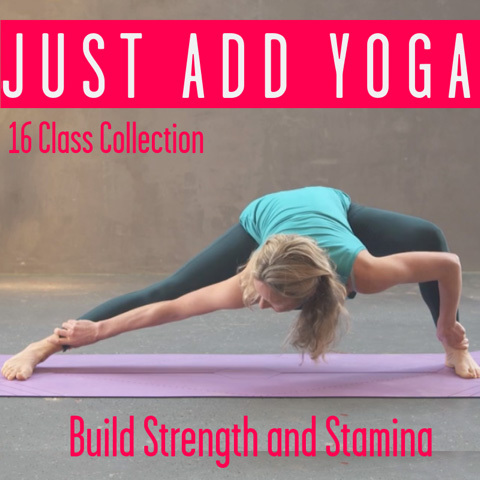 There’s such variety so there’s always a class that’s perfect for that morning, whether it’s some energising hatha with Lucy or Kirsty, a dose of yin with Norman or Andrea, or perhaps I’m more in the mood for Leila, Clive, Jean, Mimi or Zephyr. What an amazing menu I get to choose from! I spend between 10 – 30 minutes on the mat. I choose a class from my saved Favourites or I find a class that’s new, perhaps one that’s been featured in the weekly MFML newsletters. I select my yoga playlist within Spotify and set the volume so it’s there as background to set the relaxing tone. I’m very short-sighted so I pop my glasses on the sofa and close my eyes throughout the class – I trust the verbal prompts of the teacher to guide me, and if I’m not doing exactly what’s on the screen, that’s okay. I welcome every reminder to focus on the breath (so easy to hold it!) and the pranayama that is included. Then, I roll my mat away and sit for another 10 minutes in simple meditation – and I’m all set for the day! How does yoga benefit your life? It slows me down. It centres me in my body. It creates space to breathe. It keeps me flexible and connected with the precious gift of my body. It also gives me a sense of connection with all the wonderful teachers who share their talents and all my fellow students, practising across the country and beyond. Why would you encourage someone who is new to yoga to start practising? When we’re busy, we run on autopilot. We react from old habits, we get into stress and conflict and overwhelm. When we dedicate a few minutes of our day to dropping in to breath, body, this present moment we are SO much more effective and we can show up as the best version of ourselves – which feels better within ourselves and also can radically improve our relationships. This entry was posted in Life Challenges // Advice and tagged advice, column, Corrina Gordon-Barnes, interview, relationships, thoughtful, wisdom on June 27, 2017 by Edith Johnson.